Every day of the week, you can find a Babies and Books program at an Adams County Library. These sessions are geared for parent and child from birth to 2 years of age. Introduce your baby to literature and the Library as we share favorite books, songs, nursery rhymes and more. In addition, a time strictly for for play is built into every Babies and Books session. This is a great time for social interaction for both baby and parents. Grandparents, caregivers and siblings are welcome, too. Visit our Events page to find the one that best suits your schedule. Storytime programs at Adams County libraries support Pennsylvania Learning Standards for Early Childhood, as well as the incorporation of five simple practices that support early literacy: singing, talking, reading, writing, and playing. These five practices were first introduced by Every Child Ready to Read, an initiative of the Public Library Association and the Association for Library Service to Children, and are foundational in the preparation and performance of storytimes in the county, and across the country. These sessions are geared for 2 and 3 year old children and an adult. Join us as we share books, rhymes, music, movement activities, finger plays, crafts and more! In addition, a time devoted strictly for play is built into every Toddler Time session. Toddler Time is offered on a variety of days and at differing times. Visit our Events page to find the one that best suits your schedule. 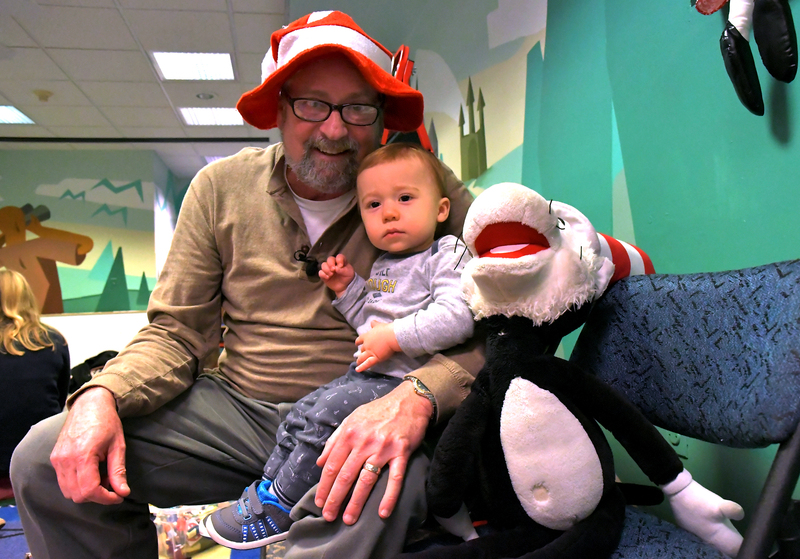 Storytime programs at Adams County libraries support Pennsylvania Learning Standards for Early Childhood, as well as the incorporation of five simple practices that support early literacy: singing, talking, reading, writing, and playing. These five practices were first introduced by Every Child Ready to Read (ECRR), an initiative of the Public Library Association and the Association for Library Service to Children, and are foundational in the preparation and performance of storytimes in the county, and across the country. These sessions are geared for children ages 4, 5 and 6. Parents may join us or browse in the Library. Join us as we share books, music, action games, crafts, and more! Preschool Story Time is offered at different times on different days, dependent on location. Please visit our Events page to select the one that best suits your needs. Sensory Storytime is an initiative of the Adams County Library System to provide meaningful early literacy experiences for children who may have sensory processing or autism spectrum disorders, and families who would benefit from a story time that is designed to meet the needs of this special population. In order to serve the children's needs for sensory integration during the Sensory Storytime, Adams County Library provides the necessary variety of toys/tools/objects that fulfill their sensory needs. Please check our Events page for when and where this valuable program is offered.